A viewing of this website of N. Krishnaswamy woud not be complete without a viewing of the website of C.V. Narasimhan at http://www.cvnarasimhan.org in order to get an interesting composite view of two persons whose careers and lives are so closely and incredibly inter-twined. Both of them were distinguished members of the the Indian Police Service (IPS), belonging to the same 1948 batch of the Service. It is rare in this world to find the kind of friendship 'NK' and 'CVN' or 'CV' have developed and maintained over 50 years. Over that time they personally came to occupy such a a huge space in each other's persona, that one could complete sentences that the other started without loss of an iota of intent or content. Besides their combined and respective accomplishments in police work, they went on post-career to contribute to society in a subtantial manner in the area of education. And as part of the great sense of humor that they both share, they have compiled some snippets - mostly from the lighter side of their professional experiences - for all to read, enjoy, and gain an anecdotal history of the early days of Indian Police Service - as it was being formed in an independent India starting in 1947. Click here to view those snippets. Distinguished Professor, School of Criminal Justice, State University of New York at Albany, New York, USA. I am delighted to have been asked to write a foreword to the websites created to honor the accomplishments of C.V. Narasimhan (C.V.) and N. Krishnaswamy (N.K.). They are legendary figures in the modern Indian police. Although I will comment on some of their history, I will write largely as a friend, colleague, and admirer. It has been my enormous good fortune not only to be associated with the Indian police, but to have been facilitated in my work by insightful, dedicated, and far-sighted IPS officers such as C.V. and N.K. Like them I have enjoyed the beauty of the old IPS training academy at Mt. Abu. From them I have learned a great deal about the evolution of the Indian police since Independence. And with them I have shared the joys of friendship. Read full foreword here. N.Krishnaswamy (NK as he is often called by colleagues and friends) was born on 15-07-1925, the second of four children, to V.Natesan and Sivakamu, an orthodox Brahmin couple in Nemam village, Thanjavur District in Tamilnadu. His parents belonged to the traditional priestly class. His mother’s father, Natesa Sastry was a Vedic teacher of such considerable repute for his scholarship, that his pupils included one who was to become the Paramacharya of the Kanchipuram Mutt. NK’s father was the first in the family to break out of the priestly profession of the family lineage. Taking to a western style education, first at the local High School at Tirukattupalli, he went on for higher studies to the St. Joseph’s College at Tiruchirapalli, where he took his MA degree in Economics, with the first rank in the University. His desire to get into the Indian Civil Service, like a few of his contemporaries, was scotched by his father, because of the prevailing religious taboo against going overseas. He had therefore to content himself with qualifying for the next best public service that was then available, viz. the Financial Civil Service. After a brief stint as a Lecturer in Economics in the Government College, Kumbakonam, he got selected to the FCS, and this led him to a meteoric rise in the service of the Government of India, capped by the prestigious British award of the OBE in 1942, when at the age of 42, his career was tragically cut short by cancer. In 1925, when he was a baby 40 days old, NK’s mother carried him all the way from Nemam to Peshawar, the northern-most tip of what was then an undivided India and what is now in Pakistan. They were to join his father who was then posted as the Deputy Controller of the Military Finance Department at Peshawar. Those early years of NK till 1936, were largely spent in places like Peshawar, Rawalpindi, Lahore and Karachi, all now in Pakistan. Thereafter till 1942, NK’s father held senior positions in the Military Finance Department of the Government of India, which meant living in New Delhi, with a summer time shift to Simla, by the Government of India for four months every year to avoid the heat of the Delhi summer. These postings meant NK finishing his schooling in N.Delhi and Simla. After doing his Intermediate in the Hindu College, following his father’s death in 1942, he had to return to Madras to be with his mother, and finish his BSc at Loyola College, Madras. But his love for Delhi remained so strong that he returned thereafter to take his MSc from Delhi University in 1946. Soon after finishing his MSc, NK went to Bangalore to seek an entry into the Institute of Science, Bangalore to pursue a research career on which he had set his heart. But he failed in that attempt, and was then wondering what to do next. He was staying then at Bangalore with his classmate M.R.Raman who had by then joined as a Lecturer in Chemistry in the newly started Vijaya College. Raman took NK one morning to visit his college, and introduced him to his Principal, Venkatesachar, who promptly asked me whether NK would like to teach. When NK said he wouldn’t mind trying, Venkatesachar took him straight away to one of the classes which were then in session and asked him to hold the class period on any topic of his choice. Still fresh with his subjects from the MSc examinations, NK lectured to the class on “Avogadro’s Hypothesis”. At the end of the class the clearly impressed Principal announced to NK that he could now consider himself part of the College faculty ! This stint as a Lecturer in Bangalore lasted one year, after which NK decided to resign and return to Madras and take a shot at the first competetive Examination for the newly constituted All-Inda Services that had just then been announced by the Union Public Service Commission. So that was what led NK finally into the Indian Police Service in 1948. The 30 years that followed tili he retired in 1979 were eventful years of personal and professional fulfillment. The first significant event on the personal front was of course, his marriage on the 30th April, 1950. His wife Meenakshi was the second of three daughters of Lakshmi and N.Padmanabha Ayyar who bore impressive family credentials. Lakshmi was the daughter of Ulloor Parameswara Ayyar, the literary giant of Malayalam literature, who was the Poet Laureate of the erswhile Travancore State that merged after Independence into the new state of Kerala. Padmanabha Ayyar himself took the First rank in the BE Examination of the Madras University, by virtue of which he was automatically appointed to the Indian Service or Engineers, which was one of what was then called the Secretary of State Services of the British Government of India. In an eventful career he was associated with building the main Irrigation Dams of Madras Presidency and finally retired in 1956 as the Chief Engineer of Tamilnadu. After retirement he went on to become Civil Engineering Adviser to the Steel Ministry of the Government of India and in the five years that followed, he laid the foundations (literally) of the first three major Steel Plants of free India at Bhiilai, Rourkela and Durgapur. In emaulation of her father, Meenakshi had taken the first rank gold medal in the BA – Physics examination of Madras University in 1949. And after 20 years of marriage, she resumed studies to take her BL degree, and became a lawyer to acquire over the next 20 years, an impressive reputation as one of the first women lawyers in the field of Income Tax Law. All this, she accomplished all on her own, without the least interference with her meticulous attention to bringing up their two children and running the household. NK’s daughter Uma has today shaped into one of the top Breast Surgeons of the country. His son, Natesan, however was a sad story of a life crippled by severe disabilty, a story that is narrated here. The interesting details of NK’s long career and personal experiences in the Police Service and in his retirement years thereafter in Social Service are set out more appropriately now in other pages of this website. Please browse around and enjoy! I am delighted to have been asked to write a foreword to the websites created to honor the accomplishments of C.V. Narasimhan and N. Krishnaswamy. They are legendary figures in the modern Indian police. Although I will comment on some of their history, I will write largely as a friend, colleague, and admirer. It has been my enormous good fortune not only to be associated with the Indian police, but to have been facilitated in my work by insightful, dedicated, and far-sighted IPS. officers such as C.V. and N.K. Like them I have enjoyed the beauty of the old IPS training academy at Mt. Abu. From them I have learned a great deal about the evolution of the Indian police since Independence. And with them I have shared the joys of friendship. N.K. was the first of the two that I met. It was in 1972, or possibly 1973, at the United Nations and Far East Institute for the Prevention of Crime and the Treatment of Offenders in Fuchu, Japan, a suburb of Tokyo. This training facility, more familiarly known as UNAFEI, is run by the Japanese Ministry of Justice and draws scholars and practitioners to seminars from all over Asia and sometmes as far away as the Middle East and Africa. N.K. was an invited participant from India and I was a lecturer from the United States. I remember him not only for his thoughtful and insightful comments about the role of police in democratic societies, but also for the lovely sound of his flute as he practiced in quiet corners of the UNAFEI grounds. 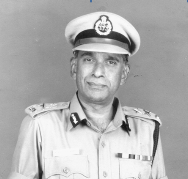 I met C.V. in the late 1970s when he was Member Secretary of the National Police Commission (1977-1981). The Commission, under the able leadership of Dharma Vera, retired Governor of West Bengal, had asked me contribute to its deliberations as a consultant. My task was to explore the proper relationship between operational police officers and elected political leaders. Not to be too cynical, but it would appear that my efforts have made the situation worse rather than better. When Mr Rustumji, Member of NPC, later visited the United States, my wife and I had the great pleasure of having him for dinner at our home in Denver, Colorado. When I returned to India as the NPC was winding down, C.V. gave me an extensive personal briefing on its main findings at the Commission’s office in New Delhi. In the ensuing years I have been kept up-to-date about C.V. and N.K. through the good offices of R.K. Raghavan, another close IPS friend, who tries to bring us together whenever I am in Chennai and C.V. and N.K. are not off doing good work somewhere else in India or the world. Rest is not something that either of them practices very much. What is remarkable for me is that I have had the opportunity to knowing personally two of the men who integrated the IPS after Independence. Theirs was the generation of officers who assumed responsibility for administering government in India after the British relinquished control. This was a daunting task after the agony of Partition, the rigors of World War II, the recriminations of the Independence struggle, and the need to nurture and accommodate a new political class. India has justly celebrated several of these gifted administrators, including Vallabhbhai Patel, after whom the National Police Academy in Hyderabad is named. Because C.V. Narasimhan and N.Krishnaswamy are of that venerable generation, we have a unique opportunity to learn what it was like to “Indianize” the vaunted steel-frame government during that momentous period. Like C.V. and N.K. 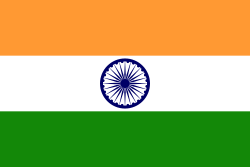 I have been associated with the Indian police almost all of my professional life. They, of course, as leaders and me only as an observing scholar. I have been distressed by what I perceive as a decline in the standards of Indian policing during my lifetime. Perhaps my judgment romanticizes the past, but I know that C.V. and N.K. share this concern. Unlike me, however, they have tried to do something about it, by leadership, by personal example, and by advocacy. Both have worked to implement the reforms recommended by the Indian National Police Commission. As evidence of their continued concern with policing, C.V. has recently written a short paper about direct recruitment to the IPS, setting the issue within the historical sweep of Indian policing since Independence and stipulating the principles that should guide IPS leadership. Among his recommendations, C.V. calls correctly for political neutrality of the police. He has been too diplomatic, in my opinion, in not adding that Indian politicians must learn to respect the operational and managerial integrity of the IPS. C.V. knows this issue full well, having wrestled with it throughout his career. N.K. has added an insightful annexure to C.V.’s paper about the importance of intelligence, in the technical sense, in police work. Intelligence gathering, he argues, has not utilized enough face-to-face interactions with the public and has relied too much on specialized units, often operating covertly. Police must learn to encourage cooperative relations with the public in order to obtain more timely and focused intelligence. He stresses the importance of developing the analytic capability of police control rooms, which has remained “rudimentary” in India. Writing such as these indicate why C.V. and N.K. are role models indeed for young IPS officers. One of the great privileges of my life has been to know these two great police professionals. Our association has not only been rewarding in terms of what I have learned about the Indian Police, but has been fun. What more could I have asked for?